An intense cigar-inspired tobacco blend with hints of creamy vanilla that offers a luxurious South American-inspired vape. Equipped with a rich and smokey aroma, Cubano provides a unique and complex flavour profile that's perfect for tobacco vapers looking to up their game. 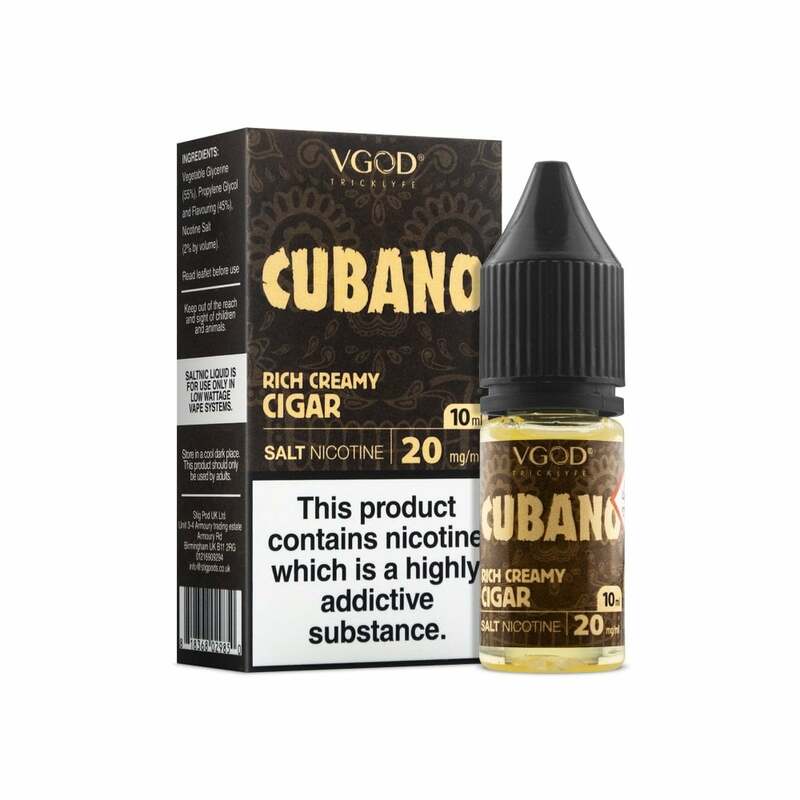 VGOD Cubano nicotine salt e-liquid comes in a 10ml bottle and is blended with a 55% VG, 45% PG for a cloudy yet flavourful vape. Nicotine salts provide a fast-acting and powerful nicotine hit, similar in sensation to smoking a cigarette.